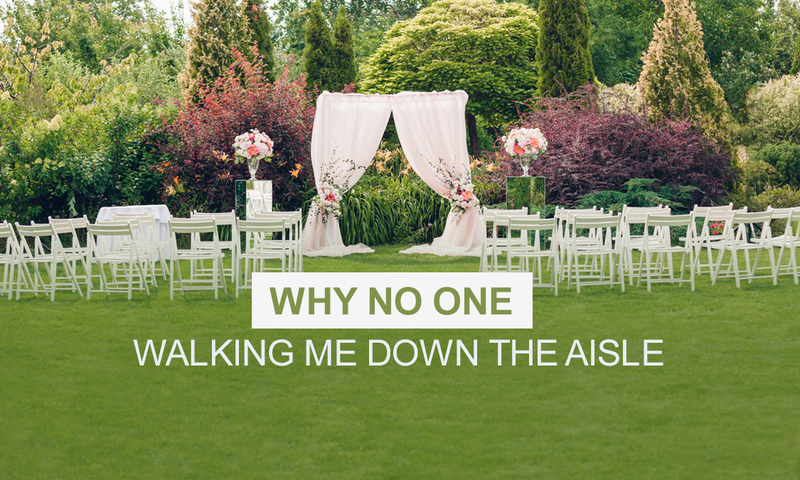 While it’s completely normal to have expectations about your upcoming wedding, getting walked down the aisle is a personal choice. Some brides do choose to have their close guardian or parent walk them down the aisle while others don’t. Back in the days, people viewed this move as a gesture of giving the bride away. Things are taking a different turn these days because brides no longer want to have their parents give them away to their grooms. Is it really a Transfer of Ownership? In real sense, getting walked down the aisle doesn’t necessarily mean that parents are transferring the ownership of their daughter to the husband. It’s a common tradition passed down to generations and more generations to come. You may want your parents present at the wedding but don’t want them to take you to the groom. What matters is that you’re at the venue on time and that the two of you exchange your vows. You may feel the need of making your wedding to focus more on you and your spouse. In this case, you’ll want all the guests to see and appreciate that you and your partner are coming together as a unit. Your wedding will pay less attention to your parents when you choose this path. You have the freedom to view traditions like getting walked down the aisle in three different ways. First, you can view them as part of history and nothing else. Second, you can adapt them to your day-to-day life and interpret them based on how you want. Third, you can entirely reject them if they hold no value or you don’t want to follow them. It’s all a matter of personal preference when choosing what and who to have at your wedding. It’s up to you to decide the beliefs or course of action you want to embrace. Don’t turn your big day into a nightmare when trying too hard to conform to societal expectations.